2008 (MMVIII) was a leap year starting on Tuesday of the Christian or Common Era, in the Gregorian calendar. It was the 2008th year of the Common Era, or of Anno Domini; the 8th year of the 3rd millennium and of the 21st century; and the 9th of the 2000s. January 1 – A suicide bombing occurs in Zayouna, Baghdad, killing over 25 people during a funeral over the deaths from the preceding attack. January 2 – The price of petroleum hits $100 per barrel for the first time. January 3 – A car bomb detonates, killing at least 4 and injuring 68, in Diyarbakır, Turkey. Police blame Kurdish rebels. The Boy Scout is injured, but after a scuffle police arrest the attacker. January 12 – A Macedonian Army Mil Mi-17 helicopter crashes in thick fog southeast of Skopje, killing all 11 military personnel on board. January 14 – At 19:04:39 UTC, the MESSENGER space probe is at its closest approach during its first flyby of the planet Mercury. January 15 – The Federal Court of Australia orders a Japanese whaling company to stop research whaling within their Exclusive Economic Zone. January 22 – Russia stages the largest naval exercise since the fall of the Soviet Union in the Bay of Biscay. The Russian aircraft carrier Admiral Kuznetsov, along with 11 support vessels and 47 long-range bomber aircraft, practises strike tactics off the coast of France and Spain, and test-launches nuclear-capable missiles in foreign waters. January 23 – Polish Air Force EADS CASA C-295 crashes on approach to the 12th Air Base near Mirosławiec. All 20 personnel on board die. January 23 – Thousands of Palestinians cross into Egypt, as the border wall with Gaza in Rafah is blown up by militants. January 24 – A peace deal ends the Kivu war in the Democratic Republic of the Congo. January 25 – China's worst snowstorm since 1954 kills 133, delays traffic, and causes massive power outages in central and southern parts of the country. January 29 – Iran's judiciary sentences to prison 54 Bahá'í Faith followers for 'anti-regime propaganda'. February 2 – Rebels attack the capital of Chad, N'Djamena. February 4 – A Palestinian suicide bomber kills 1 and wounds 13 in a Dimona, Israel shopping center. February 5 – U.S. stock market indices plunge more than 3% after a report shows signs of economic recession in the service sector. The S&P 500 fall 3.2%, The Dow Jones Industrial Average 370 points. February 5–6 – A tornado outbreak, the deadliest in 23 years, kills 58 in the Southern United States. February 7 – STS-122: Space Shuttle Atlantis launches to deliver the European-built Columbus science laboratory to the International Space Station. February 10 – The 2008 Namdaemun fire severely damages Namdaemun, the first National Treasure of South Korea. February 11 – President of East Timor José Ramos-Horta is seriously wounded in an attack on his home by rebel soldiers. Rebel leader Alfredo Reinado is killed by Ramos-Horta's security guards during the attack. February 12 – PDVSA, a state oil company in Venezuela, suspends sales of crude oil to ExxonMobil, in response to a legal challenge by them. February 12 – Bridgestone, under investigation for an alleged price-fixing cartel, uncovers improper payments of at least 150 million Japanese yen to foreign governments and withdraws from the marine hose business. February 13 – Prime Minister Kevin Rudd of Australia delivers a formal apology to the Stolen Generations. February 17 – Kosovo formally declares independence from Serbia, with support from some countries but opposition from others. February 18 – The British government introduces emergency legislation temporarily to nationalize Northern Rock, the 5th largest mortgage bank in the UK, due to the bank's financial crisis. February 18 – A general election is held in Pakistan, delayed from January 8 due to riots in the wake of the assassination of Benazir Bhutto. Opposition parties, including Bhutto's, take more than half of the seats, while President Pervez Musharraf's party suffers a huge defeat. February 19 – Fidel Castro announces his resignation as President of Cuba, effective February 24. February 20 – The United States Navy destroys a spy satellite containing toxic fuel, by shooting it down with a missile launched from the USS Lake Erie in the Pacific Ocean. February 20 – A total lunar eclipse crosses North and South America, Europe, Africa, and Southwest Asia. February 22 – Former building society Northern Rock is the first bank in Europe to be taken into state control, due to the U.S. subprime mortgage financial crisis. February 22 – No survivors are found after a rescue helicopter discovers the wreckage of Santa Bárbara Airlines Flight 518 just northeast of Mérida, Venezuela. The commercial plane had 46 people on board, including crew. February 24 – Raúl Castro is unanimously elected as President of Cuba by the National Assembly. March 1 – In Gaza Strip, at least 52 Palestinians and 2 Israeli soldiers are killed in the most intense Israeli air strikes since 2005. March 2 – 2008 Andean diplomatic crisis: Venezuela and Ecuador move troops to the Colombian border, following a Colombian raid against FARC guerrillas inside Ecuador's national territory, in which senior commander Raúl Reyes is killed. March 6 – Eight Israeli civilians are killed and 9 wounded when a Palestinian attacker opens fire at a Jewish seminary in Jerusalem. March 14 – Demonstrations by Tibetan separatists turn violent as rioters target government and Han Chinese-owned buildings. March 15 – A gun factory explosion in Gërdec, Albania kills more than 30. Over the following week, Albania, Kosovo, and some surrounding countries supply and support Gërdec's population with food, blood, etc. March 24 – Bhutan holds its first-ever general elections. March 25 – A 414 square kilometer (160 sq. mi.2) chunk of Antarctica's Wilkins Ice Shelf disintegrates, leaving the entire shelf at risk. March 25 – African Union and Comoros forces invade the rebel-held island of Anjouan. March 29 – Presidential and parliamentary elections are held in Zimbabwe. April 8 – Privy Council of Sark dismantles its feudal system to comply with the European Convention on Human Rights. and the first elections under the new law will be held in December 2008 and the new chamber will first convene in January 2009. April 15 – A Hewa Bora Airways DC-9 crashes into a residential area of Goma, Democratic Republic of the Congo. April 17 – Raila Odinga becomes the new Prime Minister of Kenya after the formation of a coalition government, ending the political crisis in Kenya. April 22 – Surgeons at London's Moorfields Eye Hospital perform the first operations using bionic eyes, implanting them into 2 blind patients. April 27 – The Taliban attempts to assassinate Afghan President Hamid Karzai in a military parade in Kabul. April 28 – India sets a world record by sending 10 satellites into orbit in a single launch. April 28 – 71 die in a train crash in Shandong, China. May 3 – Over 133,000 in Burma/Myanmar are killed by Cyclone Nargis, the deadliest natural disaster since the Boxing Day Tsunami in 2004. May 7 – Dmitry Medvedev takes office as President of Russia, replacing Vladimir Putin. May 8 – Start of armed clashes and fighting in Lebanon. May 11 – Burma/Myanmar holds a constitutional referendum. May 12 – Over 69,000 are killed in central south-west China by the Wenchuan quake, an earthquake measuring 7.9 Moment magnitude scale. The epicenter is 90 kilometers (55 miles) west-northwest of the provincial capital Chengdu, Sichuan province. May 13 – A series of bomb blasts kills at least 63 and injures 216 in Jaipur, India. May 14 – NASA announces the discovery of Supernova remnant G1.9+0.3. May 15 – An oil pipeline explosion in Ijegun, Nigeria kills 100. May 23 – The Union of South American Nations, a supranational union, is created by a union between the Andean Community and Mercosur. May 23 – The International Court of Justice awards Middle Rocks to Malaysia and Pedra Branca to Singapore, ending a 29-year territorial dispute between the 2 countries. May 25 – NASA's Phoenix spacecraft becomes the first to land on the northern polar region of Mars. May 28 – The Federal Democratic Republic of Nepal is established after the Assembly votes overwhelmingly in favor of abolishing the country's 240-year-old monarchy. Girija Prasad Koirala becomes temporary head of state. June 2 – A car bomb explodes outside the Danish embassy in Islamabad, Pakistan, killing at least five. June 8 – In the Akihabara area of Tokyo, Japan, a 25-year-old man stabs seven to death and wounds 10, before being arrested. June 10 – Fire engulfs Sudan Airways Flight 109 after it lands in Khartoum, killing 44. June 11 – The Gamma-ray Large Area Space Telescope is launched. June 11 – Canadian Prime Minister Stephen Harper apologizes to Canada's First Nations for the Canadian residential school system. June 12 – Ireland votes to reject the Treaty of Lisbon, in the only referendum to be held by a European Union member state on the treaty. June 14 – A 6.9 magnitude earthquake in Iwate Prefecture, Japan, kills 12 and injures more than 400. June 14 – September 14 – Expo 2008 is held in Zaragoza, Spain, with the topic of "Water and sustainable development". June 22 – Typhoon Fengshen hits the Philippines and capsizes the ferry MV Princess of the Stars, leaving hundreds dead or missing. June 27 – President Robert Mugabe is reelected with 85.5% of the vote in the second round of the controversial Zimbabwean presidential election. June 27 – After three decades as the Chairman of Microsoft Corporation, Bill Gates steps down from daily duties to concentrate on philanthropy. July 2 – Íngrid Betancourt and 14 other hostages are rescued from FARC by Colombian security forces. July 7 – A suicide-bomber drives an explosives-laden automobile into the front gates of the Indian embassy in Kabul, Afghanistan, killing 58 and injuring over 150. July 7–9 – The 34th G8 summit is held in Tōyako, Hokkaidō, Japan. July 10 – Former Macedonian Interior Minister Ljube Boškoski is acquitted of all charges, by a UN Tribunal accusing him of war crimes. July 15–20 – World Youth Day takes place in Sydney, Australia. Pope Benedict XVI appears at the event. July 21 – Radovan Karadžić, the first president of the Republika Srpska, is arrested in Belgrade, Serbia on allegations of war crimes, following a 12-year long manhunt. July 22 – The United Progressive Alliance-led government in India survives a crucial no-confidence vote, based on disagreements between the Indian National Congress and Left Front, over the Indo-US nuclear deal. July 23 – Ram Baran Yadav is sworn in as the first President of Nepal. July 25 – A series of seven bomb blasts rock Bangalore, India, killing two and injuring 20; the next day, a series of bomb blasts in Ahmedabad, Gujarat, India, kills 45 and injures over 160 people. July 27 – At least 17 are killed and over 154 wounded in 2 blasts in Istanbul. July 28 – At least 48 are dead and over 287 injured after bombs explode in Baghdad and Kirkuk, Iraq. August 1 – A total eclipse of the Sun is visible from Canada and extends across northern Greenland, the Arctic, central Russia, Mongolia, and China. August 1 – George Tupou V is crowned as the new King of Tonga, an event that had been delayed for over two years following the 2006 Nuku'alofa riots. August 3 – A stampede at a Hindu temple at Naina Devi in Bilaspur, Himachal Pradesh, India kills 162 and injures 400. August 4 – Two members of the East Turkestan Islamic Movement, which had threatened to attack the Beijing Olympics, kill 16 and injure another 16 officers at a police station in Kashgar, Xinjiang, China. August 7 – The 2008 South Ossetia war begins, as Georgia and Russia launch a major offensive inside the separatist region of South Ossetia after days of border skirmishes between the two sides. August 15 – Pushpa Kamal Dahal (known as Prachanda) is sworn in as the first Prime Minister of the Federal Democratic Republic of Nepal, after the Nepalese monarchy was abolished in May. August 17 – Michael Phelps surpasses Mark Spitz in Gold Medals won at a single Olympics, winning eight. August 18 – Pervez Musharraf resigns as President of Pakistan, under impeachment pressure from the coalition government. August 19 – Taliban insurgents kill 10 and injure 21 French soldiers in an ambush in Afghanistan. August 19 – A suicide bomber rams a car into an Algerian military academy, killing 43 and injuring 45. August 20 – Spanair Flight 5022, from Madrid to Gran Canaria, skids off the runway and crashes at Barajas Airport with 172 on board. Of them, 154 die and 18 survive. August 21 – At least 60 die following twin suicide bombings outside the Pakistan Ordnance Factories in Wah, Pakistan. August 22 – Pirates hijack German, Iranian, and Japanese cargo ships off the coast of Somalia, in seven such attacks since June 20. August 24 – An aircraft crashes in Guatemala, killing 10, including four Americans on a humanitarian mission. August 24 – Iran Aseman Airlines Flight 6895 crashes upon takeoff near Manas International Airport in Bishkek, Kyrgyzstan, killing 68. August 26 – Russia unilaterally recognizes the independence of Georgian breakaway republics Abkhazia and South Ossetia. August 26 – September 1 – Hurricane Gustav makes landfall on Louisiana as Category 2 and kills seven in the United States, after making landfall on western Cuba as Category 4, and killing 66 in Haiti, eight in the Dominican Republic, and 11 in Jamaica. August 28 – September 7 – Hurricane Hanna kills seven in the United States, and 529 in Haiti, mostly due to floods and mudslides. September 1–14 – Hurricane Ike makes landfall on Texas as Category 2 and kills 27 in the United States, after killing four in Cuba, one in the Dominican Republic, and 75 in Haiti. September 2 – Prime Minister of Japan Yasuo Fukuda resigns, less than a year after taking office following Shinzo Abe's resignation. September 2 – Political crisis in Thailand: Prime Minister Samak Sundaravej of Thailand declares a state of emergency in Bangkok. September 3 – Prime Minister Yousaf Raza Gillani of Pakistan survives an assassination attempt near Islamabad, while on his way to meet British Leader of the Opposition David Cameron. September 3 – President's Dimitris Christofias and Mehmet Ali Talat hold peace talks in Nicosia, aimed at reunifying Cyprus. September 6 – Asif Ali Zardari is elected President of Pakistan by the Electoral College of Pakistan. September 6 – At least eight boulders dislodge from a cliff near Cairo, Egypt, killing at least 90 and burying an estimated 500 people. September 9 – Political crisis in Thailand: The Constitutional Court of Thailand orders Prime Minister Samak Sundaravej to resign, after he is paid for appearing on a television cooking show. September 12 – A Metrolink train collides head-on into a freight train in Los Angeles, California, killing 25 and injuring 130. September 14 – Aeroflot Flight 821 crashes near the city of Perm, Russia, killing all 88 on board. September 15 – Following negotiations, President Robert Mugabe and opposition leaders Morgan Tsvangirai and Arthur Mutambara sign a power-sharing deal, making Tsvangirai the new Prime Minister of Zimbabwe. September 15 – Lehman Brothers files for Chapter 11 bankruptcy protection. September 17 – The International Astronomical Union classifies Haumea as the 5th dwarf planet in the Solar System. September 19–25 – Typhoon Hagupit kills 17 in China, eight in the Philippines, one in Taiwan, and 41 in Vietnam. September 20 – A suicide truck bomb explosion destroys the Marriott Hotel in Islamabad, Pakistan, killing at least 60 and injuring 266. September 21 – President Thabo Mbeki of South Africa resigns after accepting a call by the African National Congress. September 24 – The Diet of Japan elects Taro Aso as the new Prime Minister of Japan. September 25 – Kgalema Motlanthe is elected by the National Assembly of South Africa as the President of South Africa, succeeding Thabo Mbeki. September 25 – Shenzhou 7, the third manned Chinese spaceflight and the first with three crew members, is successfully launched. China becomes the third country ever to conduct a spacewalk. September 30 – A Jodhpur temple stampede in western India kills over 224 people, and injures 400. October 6 – NASA's MESSENGER spacecraft makes its second of three flybys of Mercury, decreasing the velocity for orbital insertion on March 18, 2011. October 6 – An earthquake measuring 6.6 magnitude kills at least 65 in Kyrgyzstan. October 7 – Global financial crisis: Russia agrees to provide Iceland with a four-billion-euro loan. October 7 – The meteoroid 2008 TC3 impacts Earth, becoming the first such object to be discovered prior to impact. October 9 – Global financial crisis: Following a major banking and financial crisis in Iceland, the Icelandic Financial Supervisory Authority takes control of the three largest banks in the country: Kaupthing Bank, Landsbanki, and Glitnir. October 17 – The United Nations General Assembly elects Turkey, Austria, Japan, Uganda, and Mexico to two-year terms on the Security Council. October 21 – The Large Hadron Collider (LHC) is officially inaugurated. It is a collaboration of over 10,000 scientists and engineers from over 100 countries as well as hundreds of universities and laboratories. October 22 – The Indian Space Research Organisation successfully launches theChandrayaan-1 spacecraft on a lunar exploration mission. October 29 – Global financial crisis: Hungary's currency and stock markets rise on the news that it will receive an international economic bailout package worth $25 billion from the IMF, European Union, and World Bank. October 29 – Delta Air Lines merges with Northwest Airlines, forming the world's largest commercial carrier. 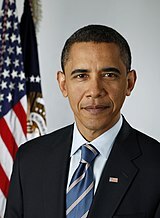 November 4 – United States presidential election, 2008: Barack Obama is elected the 44th President of the United States and Joe Biden is elected the 47th Vice President. Barack Obama becomes the first African-American President-elect. November 6 – King Jigme Khesar Namgyel Wangchuck of Bhutan is crowned, having ascended to the throne in 2006. November 7 – The 2008 Pétionville school collapse kills at least 92 in Pétionville, Haiti. November 8 – An accident aboard Russian submarine K-152 Nerpa kills 20. November 11 – The RMS Queen Elizabeth 2 departs on her last voyage from Southampton, UK to Dubai, UAE. She will become a floating hotel at Palm Jumeirah. November 14 – STS-126: The Space Shuttle Endeavour uses the MPLM Leonardo to deliver experiment and storage racks to the International Space Station. There will be only three more launches of Space Shuttle Endeavour after this mission. November 20 – The 2008 Prairie meteoroid falls over Canada. November 22 – 23 – The APEC Peru 2008 Summit is held in Lima. November 24 – The 2008 Santa Catarina floods in Santa Catarina, Brazil kill 126 and force the evacuation of over 78,000 people. November 25 – Greenland holds a referendum for increased autonomy from Denmark. The vote is over 75% in favour. November 25 – Political crisis in Thailand: Protesters from the People's Alliance for Democracy party storm into Suvarnabhumi Airport and block flights from taking off. More protesters seize control of Don Mueang Airport the following day. November 25 – A car bomb in St. Petersburg, Russia, kills three people and injures one. November 26 – November 29 – A series of terrorist attacks in Mumbai, India by Pakistan-based Islamic militants kills 195, and injures at least 250. November 27 – The longest serving Ocean Liner in history, QE2 is retired from service. November 29 – Riots in Jos, Nigeria kill 381, and injure at least 300. December 1 – A triangular conjunction formed by a new Moon, Venus and Jupiter is a prominent object in the evening sky. December 2 – Political crisis in Thailand: After weeks of opposition-led protests, the Constitutional Court of Thailand dissolves the governing People's Power Party and two coalition member parties, and bans leaders of the parties, including Prime Minister Somchai Wongsawat, from politics for five years. As such, Wongsawat promptly resigns and is replaced by Deputy Prime Minister Chaovarat Chanweerakul as caretaker Prime Minister. December 3 – The Convention on Cluster Munitions opens for signature in Oslo. December 4 – Political crisis in Canada: Governor General Michaëlle Jean grants the request of Prime Minister Stephen Harper to prorogue Parliament until January 26, 2009, averting a motion of no-confidence by the new opposition coalition led by the Leader of the Opposition Stéphane Dion, and the New Democratic Party leader Jack Layton, with Bloc Québécois leader Gilles Duceppe as a coalition partner. December 6 – Riots spread across Greece after a 15-year-old boy is shot dead by a special guard of the Greek Police. December 12 – Switzerland becomes the 25th European country to join the Schengen Agreement, whereby cross-border passport checks will be abolished. December 12 – The Moon moves into its nearest point to Earth, called perigee, at the same time as its fullest phase of the Lunar Cycle. The Moon appears to be 14% bigger and 30% brighter than the year's other full moons. The next time these two events coincide will be in 2016. December 16 – Ruins of an ancient Wari city are discovered in northern Peru. December 18 – The International Criminal Tribunal for Rwanda convicts Théoneste Bagosora and two other senior Rwandan army officers of genocide, crimes against humanity and war crimes and sentences them to life imprisonment. December 21 – Gwadar port, Pakistan becomes fully operational. December 23 – A military coup d'état is announced in Guinea shortly after the death of long-time President Lansana Conté. December 27 – Israel initiates a series of airstrikes followed by an invasion in Gaza Strip, killing at least 1300 (including at least 416 children) and wounding over 2,700. December 29 – Bangladesh holds its general elections after two years of political unrest over the interim government. Japanese calendar [[Heisei|Template:Japanese era]] Expression error: Unrecognized punctuation character "[". March 1 – Saint David's Day, celebrated in Wales and the United States. March 15 – Saint Patrick's Day, celebrated in Ireland, the United States, and most of the English-speaking world. (Held on March 15 instead of the usual 17th to avoid the second day in Holy Week). This March 17 will be the last one to fall within Holy Week until 2160. The Next War, a controversial 1996 novel about the post-Soviet era, co-written by former U.S. Defense Secretary Caspar Weinberger, looks at a possible 2008 nuclear confrontation between the United States and Russia. Jason X (Friday the 13th series, 2002): Mass murderer Jason Voorhees is captured for the 2nd time and sentenced to death. However, the US government is unsure how to execute him; an electric chair, a gas chamber, a firing squad, and hanging are all tried – none of which work. The Lake House (2006): The ending takes place on Valentine's Day, 2008. 5 Centimeters Per Second (2007): The final act takes place in Tokyo during 2008. Doomsday (2008): The start of the movie is set in 2008, when a virus has infected Scotland. Wall Street 2 (2010): Will be set in June 2008. The events of the Macross Zero OVA take place in 2008. Doraemon: According to the original manga story, a time machine will be invented in 2008. The Future Boy Conan anime (1978) story begins in July 2008, when a war results in five continents sinking into the sea. According to the Futurama episode "Space Pilot 3000", Stop 'N Drop suicide booths are claimed to have been "America's Favorite" since 2008. Whether this is the use of an advertising hyperbole to indicate that they were introduced in 2008, or that they gained a plurality of market share in 2008 is not concluded. Dawson's Creek (2003 series finale): The characters meet once again. Dawson, now 25, is the creator of a television series, The Creek, based on his life. The 2007 series of Doctor Who: Present time (such as "Smith and Jones") is primarily set in 2008. Heroes: A possible future shown in Out of Time features the Shanti virus killing about 93% of the world's population by 2008. ↑ Akrotiri and Dhekelia adopt the euro, EUbusiness (ISO 4217 code: VEF). ↑ Partlow, Joshua and Sabah, Zaid (January 2, 2008). "Suicide Blast at Baghdad Funeral of Bomb Victim Kills Dozens". Washington Post. http://www.washingtonpost.com/wp-dyn/content/article/2008/01/01/AR2008010100827.html. Retrieved October 9, 2008. ↑ Grove, Thomas (January 5, 2008). "Turkey PM says Diyarbakir bomb shows PKK desperation". Reuters. http://www.reuters.com/article/worldNews/idUSL0530931120080105. Retrieved November 21, 2008. ↑ "Boy Scout foils attack on Maldives president". CNN. January 8, 2008. http://edition.cnn.com/2008/WORLD/asiapcf/01/08/maldives.assassination.attempt/index.html. Retrieved November 21, 2008. ↑ "11 ARM soldiers die in copter crash". Macedonian Information Centre. http://micnews.com.mk/node/12061. Retrieved 2008-11-05. ↑ "Mercury Flyby 1". Johns Hopkins University Applied Physics Laboratory. http://messenger.jhuapl.edu/mer_flyby1.html. Retrieved 2008-01-12. ↑ "Japan whaling illegal, court says". BBC. January 15, 2008. http://news.bbc.co.uk/2/hi/asia-pacific/7188674.stm. Retrieved November 21, 2008. ↑ Landler, Mark and Timmons, Heather (January 21, 2008). "Stocks Plunge Worldwide on Fears of a U.S. Recession". The New York Times. http://www.nytimes.com/2008/01/21/business/22stox-web.html. Retrieved November 21, 2008. ↑ Halpin, Tony (January 23, 2008). "RAF alert as Russia stages huge naval exercise in Bay of Biscay". London: TimesOnline. http://www.timesonline.co.uk/tol/news/world/europe/article3234607.ece. Retrieved November 21, 2008. ↑ "No survivors in Polish air crash". Reuters. January 24, 2008. http://news.bbc.co.uk/2/hi/europe/7205810.stm. Retrieved November 21, 2008. ↑ McCarthy, Rory (January 24, 2008). "Palestinians pour into Egypt after militants blow hole in border barrier". The Guardian. http://www.guardian.co.uk/world/2008/jan/24/egypt.israelandthepalestinians. Retrieved November 21, 2008. ↑ "Eastern Congo peace deal signed". BBC. January 23, 2008. http://news.bbc.co.uk/2/hi/africa/7204898.stm. Retrieved November 2008. ↑ "China Snowstorms Kill 24, Cause Loss of $3 Billion (Update3)". Bloomberg. http://www.bloomberg.com/apps/news?pid=20601087&sid=aYjkVz76Icsk&refer=home. Retrieved 2008-11-05. ↑ "Iran sentences Bahai religious followers for 'anti-regime propaganda'". AFP. Archived from the original on 2008-02-02. http://web.archive.org/web/20080202055728/http://news.yahoo.com/s/afp/20080129/wl_afp/iranjusticereligionbahai_080129141019. ↑ "Gun Battles in Chad’s Capital as Rebel Forces Storm In". http://www.nytimes.com/2008/02/03/world/africa/03chad.html. ↑ "Stocks Plunge on Service Sector Weakness". AFP. Archived from the original on 2008-02-08. http://web.archive.org/web/20080208145814/http://biz.yahoo.com/ap/080205/wall_street.html. ↑ "Super Tuesday Tornado Outbreak". NOAA. http://www.srh.noaa.gov/mob/020608Storm/. Retrieved November 21, 2008. ↑ "Mission Information". NASA. http://www.nasa.gov/mission_pages/shuttle/shuttlemissions/sts122/main/. Retrieved November 21, 2008. ↑ "Koreans mourn fall of Namdaemun, national treasure No.1". Yonhap News. February 11, 2008. http://english.yonhapnews.co.kr/national/2008/02/11/73/0302000000AEN20080211002100315F.HTML. Retrieved November 21, 2008. ↑ Gunmen attack Timor leader Ramos-Horta, The Sydney Morning Herald, February 11, 2008. ↑ "Update 9-Oil rises as Venezuela cuts off Exxon Mobil". Reuters. http://www.reuters.com/article/companyNews/idUSSP10958920080213. Retrieved 2008-11-05. ↑ "Bridgestone Uncovers `Improper Payments' in Probe (Update3)". Bloomberg. http://www.bloomberg.com/apps/news?pid=20601101&sid=aGoTPCIp_S0c&refer=japan. Retrieved 2008-11-05. ↑ "BU.S., Europeans at Security Council Back Kosovo's Independence". Bloomberg. http://www.bloomberg.com/apps/news?pid=20601087&sid=anGy1wIN83Sg&refer=home. Retrieved 2008-11-05. ↑ "Brown fights backlash over Northern Rock". Reuters. http://www.reuters.com/article/businessNews/idUSL1832258520080218. Retrieved 2008-11-05. ↑ "Musharraf rules out resignation". BBC News. Last Updated:. http://news.bbc.co.uk/1/hi/world/south_asia/7254124.stm. Retrieved 2008-11-05. ↑ "Castro steps down as Cuban leader". BBC. February 19, 2008. http://news.bbc.co.uk/2/hi/americas/7252109.stm. Retrieved November 21, 2008. ↑ "Satellite strike shows US missile defense works". February 21, 2008. http://afp.google.com/article/ALeqM5gXfTZB0a8NU_H4vSMdlS6YxBeTow. Retrieved 2008-11-05. ↑ "Total Lunar Eclipse: February 20, 2008". NASA. http://eclipse.gsfc.nasa.gov/LEmono/TLE2008Feb21/TLE2008Feb21.html. Retrieved November 21, 2008. ↑ "Northern Rock now in public hands". BBC. February 22, 2008. http://news.bbc.co.uk/2/hi/uk_news/politics/7258492.stm. Retrieved November 21, 2008. ↑ "Venezuela investigates cause of fatal plane crash: Chavez". Agence France Presse (AFP). February 22, 2008. http://afp.google.com/article/ALeqM5juSV3gb4SkWKbblKA-rYTp6j0CoA. Retrieved November 21, 2008. ↑ "Raul Castro named Cuban president". BBC. February 25, 2008. http://news.bbc.co.uk/2/hi/americas/7261204.stm. Retrieved November 21, 2008. ↑ Witte, Griff (March 3, 2008). "Palestinian president suspends peace talks". The Washington Post. http://www.washingtonpost.com/wp-dyn/content/article/2008/03/02/AR2008030200217.html. Retrieved March 15, 2009. ↑ James, Ian (March 3, 2008). "Venezuela, Ecuador sending troops to border with Colombia after rebel leader killed". The Seattle Times. http://seattletimes.nwsource.com/html/nationworld/2004255911_webrebel02.html. Retrieved March 15, 2009. ↑ Goodman, Joshua (March 1, 2008). "Colombian Rebel Leader Raul Reyes Killed By Army, Minister Says". Bloomberg. http://www.bloomberg.com/apps/news?pid=20601086&sid=a5HnABwKGrZc&refer=latin_america. Retrieved March 15, 2009. ↑ "Killing of 8 at Jewish seminary threatens latest truce efforts". USA Today. March 6, 2008. http://www.usatoday.com/news/world/2008-03-06-israeli-shooting_N.htm. Retrieved March 15, 2009. ↑ "Europe launches its first resupply ship to the ISS". European Space Agency. March 9, 2008. Archived from the original on 2009-05-21. http://www.esa.int/esaCP/SEMDYOK26DF_index_0.html. Retrieved March 15, 2009. ↑ "Stunning Gamma Ray Burst Explosion Detected Halfway Across Universe". Science Daily. http://www.sciencedaily.com/releases/2008/03/080321093110.htm. Retrieved 2009-02-10. ↑ "Election Date Finally Fixed As March 29, 2008". http://allafrica.com/stories/200801250793.html. ↑ After 443 years, Sark gets democracy, The Bugle, Episode 13, January 2008. The Bugle is a satirical podcast of the Times Online. ↑ "India setting world record by sending 10 satellites into orbit". http://timesofindia.indiatimes.com/PSLV-C9_places_10_satellites_into_orbit/articleshow/2989685.cms. ↑ McCall Breuer (November 2, 2010). "Brazil and UNASUR: Regional Security and the Nation’s World Standing in the Era of Rousseff’s Rule". COHA. http://www.coha.org/brazil-and-unasur-regional-security-and-the-nation%E2%80%99s-world-sanding-in-the-era-of-rousseff%E2%80%99s-rule/. Retrieved 8 December 2013. ↑ "Phoenix Mars Mission". http://phoenix.lpl.arizona.edu/. ↑ 54.0 54.1 United Nations Treaty Collection: Convention on Cluster Munitions. Retrieved on 28 March 2009. ↑ "Bill Gates steps down from Microsoft today". http://www.rte.ie/business/2008/0627/microsoft.html. ↑ "Bill Gates steps down as Microsoft head to concentrate on philanthropy". http://www.telegraph.co.uk/digitallife/main.jhtml?xml=/connected/2008/06/27/dlgates127.xml. ↑ "Sydney Morning Herald: 'Thanks: Pope'". http://www.smh.com.au/news/world-youth-day/thanks-pope/2008/07/21/1216492301809.html. ↑ "BBC News: Serbia captures fugitive Karadzic". 2008-07-22. http://news.bbc.co.uk/1/hi/world/europe/7518543.stm. Retrieved 2010-01-01. ↑ "26 killed in bombing attacks in Baghdad". Times of India. July 28, 2008. http://timesofindia.indiatimes.com/World/26_killed_in_bomb_attacks_in_Baghdad/articleshow/3296178.cms. Retrieved 2008-07-28. ↑ Hacaoglu, Selcan (2008-07-28). "Suicide attacks kill 57 in Baghdad, Kirkuk". AP. ↑ "NASA - Total Solar Eclipse of 2008 August 1". http://eclipse.gsfc.nasa.gov/SEmono/TSE2008/TSE2008.html. ↑ "Tonga crowns new king". http://edition.cnn.com/2008/WORLD/asiapcf/07/31/tonga.king.ap/index.html. ↑ "Police station raided in west China's Xinjiang, terrorist plot suspected". Xinhua. 2008-08-04. http://news.xinhuanet.com/english/2008-08/04/content_8940461.htm. Retrieved 2008-08-04. ↑ "Chinese border assault kills 16". BBC. 2008-08-04. http://news.bbc.co.uk/2/hi/asia-pacific/7540138.stm. Retrieved 2008-08-04. ↑ "Beijing 2008 – It's a wrap". http://boston.com/bigpicture/2008/08/beijing_2008_its_a_wrap.html. ↑ "Former communist becomes Nepal PM". CNN. 08-15-2008. http://edition.cnn.com/2008/WORLD/asiapcf/08/15/nepal.prime.minister/index.html. Retrieved 2008-08-15. ↑ "ESPN – Michael Phelps' history run at 2008 Olympics – Olympics". http://sports.espn.go.com/oly/summer08/phelpshistory. ↑ "Pakistan's Musharraf steps down". BBC News. 2008-08-18. http://news.bbc.co.uk/2/hi/south_asia/7567451.stm. Retrieved 2010-01-01. ↑ "Taliban kill 10 French troops in Afghanistan". http://www.reuters.com/article/worldNews/idUSSP16416020080819. ↑ "Bomb kills 43 at Algerian military academy". http://www.reuters.com/article/worldNews/idUSLJ41334620080819. ↑ "DNA tests for those killed in Madrid crash". BBC. 2008-08-20. http://news.bbc.co.uk/1/hi/world/europe/7575970.stm. Retrieved 2008-08-20. ↑ "Official says pirates have seized a German ship off Somalia, the third in a day". http://www.micportal.com/index.php?option=com_content&view=article&id=859:official-says-pirates-have-seized-a-german-ship-off-somalia-the-third-in-a-day&catid=25:security-measures&Itemid=38. ↑ "Ten killed in Guatemala small plane crash". http://www.reuters.com/article/worldNews/idUSN2445832520080825. ↑ "Plane crashes in Kyrgyz capital". BBC News. 2008-08-25. http://news.bbc.co.uk/2/hi/asia-pacific/7580107.stm. Retrieved 2010-01-01. ↑ "Statement by President of Russia Dmitry Medvedev". Russia's President web site. 2008-08-26. http://kremlin.ru/eng/speeches/2008/08/26/1543_type82912_205752.shtml. Retrieved 2008-08-26. ↑ "Gustav evacuees urged to stay away". http://www.cnn.com/2008/US/weather/09/01/gustav/. ↑ "Hurricane Season 2008: Tropical Storm Gustav (Central Caribbean)". http://www.nasa.gov/mission_pages/hurricanes/archives/2008/h2008_gustav.html. ↑ "Hanna closes in on U.S. as Ike becomes major hurricane". http://edition.cnn.com/2008/US/weather/09/04/hurricanes.hanna.ike/. ↑ "Galveston 'unhealthy and unsafe,' city manager says". http://www.cnn.com/2008/US/weather/09/15/hurricane.ike/. ↑ "Hurricane Ike barrels over Cuba". BBC News. 2008-09-10. http://news.bbc.co.uk/1/hi/world/americas/7603319.stm. Retrieved 2010-01-01. ↑ "Japanese PM, Yasuo Fukuda, in shock resignation after just one year in job". London. http://www.timesonline.co.uk/tol/news/world/asia/article4653861.ece. ↑ "Thailand's prime minister declares state of emergency". http://edition.cnn.com/2008/WORLD/asiapcf/09/01/thailand.protests/. ↑ "Cyprus leaders begin peace talks". BBC News. 2008-03-21. http://news.bbc.co.uk/2/hi/europe/7308128.stm. Retrieved 2010-01-01. ↑ "Q&A: Cyprus peace process". BBC News. 2008-09-03. http://news.bbc.co.uk/2/hi/europe/2839603.stm. Retrieved 2010-01-01. ↑ "Bhutto widower Zardari elected Pakistan's new president". http://edition.cnn.com/2008/WORLD/asiapcf/09/06/pakistan.presidential.election/index.html. ↑ "Hundreds feared trapped in Egypt rockslide". http://www.cnn.com/2008/WORLD/africa/09/06/egypt.rockslide.ap/. ↑ "Cooking show stint derails Thai prime minister". http://ap.google.com/article/ALeqM5hG71oGl1LokvZphtDQZzL44nzc3QD933CQI80. ↑ "First beam in the LHC – accelerating science". http://press.web.cern.ch/press/PressReleases/Releases2008/PR08.08E.html. ↑ "Large Hadron Collider fired up in 'God particle' hunt". http://www.cnn.com/2008/TECH/09/10/lhc.collider/. ↑ "Human error led to fatal train collision, spokeswoman says". http://www.cnn.com/2008/US/09/13/train.collision/. ↑ "Russian plane crash kills 88, faulty engine blamed". http://www.reuters.com/article/worldNews/idUSLE46300520080914. ↑ "News Release – IAU0807: IAU names fifth dwarf planet Haumea". http://iau.org/public_press/news/release/iau0807/. ↑ "Vietnam bars boats from Halong Bay ahead of typhoon". http://www.reuters.com/article/worldNews/idINIndia-35630720080924. ↑ "At Least 40 Killed in Huge Explosion at Pakistan Hotel". http://nytimes.com/reuters/world/international-pakistan-blast.html. ↑ "Deadly blast targets Marriott Hotel in Islamabad". http://www.cnn.com/2008/WORLD/asiapcf/09/20/pakistan.islamabad.marriott.blast/. ↑ "Dozens killed in Pakistan attack". BBC News. 2008-09-20. http://news.bbc.co.uk/2/hi/south_asia/7627135.stm. Retrieved 2010-01-01. ↑ "South Africa president steps down". BBC News. 2008-09-21. http://news.bbc.co.uk/2/hi/africa/7627957.stm. Retrieved 2010-01-01. ↑ "Taro Aso set to become Japan's PM". BBC News. 2008-09-24. http://news.bbc.co.uk/2/hi/asia-pacific/7632864.stm. Retrieved 2010-01-01. ↑ "Cabinet bids farewell to Mbeki". http://www.sabcnews.com/politics/government/0,2172,177349,00.html. ↑ "Space Exploration Technologies Corporation – Falcon 1 Flight 4". http://spacex.com/F1-004.php. ↑ "Falcon rocket success for SpaceX". BBC News. 2008-09-29. http://news.bbc.co.uk/2/hi/science/nature/7641287.stm. Retrieved 2010-01-01. ↑ "India stampede death toll rises". BBC News. 2 October. http://news.bbc.co.uk/2/hi/south_asia/7648104.stm. Retrieved 2008-11-03. ↑ "India temple stampede kills 147". CNN. http://www.cnn.com/2008/WORLD/asiapcf/09/29/india.stampede/. Retrieved 2008-10-31. ↑ "Science Timeline for Monday's MESSENGER flyby of Mercury". http://planetary.org/blog/article/00001670. ↑ "APL's MESSENGER fact sheet" (PDF). http://www.nasa.gov/pdf/208300main_Factsheet_Rev11-07.pdf. ↑ "Deadly earthquake hits Kyrgyzstan". BBC News. 6 October 2008. http://news.bbc.co.uk/2/hi/asia-pacific/7653979.stm. Retrieved 2008-10-08. ↑ "Incoming!!!". http://blogs.discovermagazine.com/badastronomy/2008/10/06/incoming-2/. Retrieved 2008-10-08. ↑ "General assembly elects Austria, Japan, Mexico, Turkey, Uganda". UN General Assembly. October 17, 2008. http://un.org/News/Press/docs//2008/ga10768.doc.htm. Retrieved 2008-10-19. ↑ "CERN inaugurates the LHC". CERN. October 21, 2008. http://press.web.cern.ch/press/PressReleases/Releases2008/PR16.08E.html. Retrieved 2008-10-24. ↑ "LHC to be inaugurated on 21 October 2008". http://press.web.cern.ch/press/PressReleases/Releases2008/PR12.08E.html. ↑ "Final LHC Synchronization Test a Success". http://lhc-first-beam.web.cern.ch/lhc%2Dfirst%2Dbeam/News/FinalLHCsyncTest.html. ↑ "Large Hadron Collider: thirteen ways to change the world". http://www.telegraph.co.uk/earth/main.jhtml?xml=/earth/2008/09/16/sciwriters116.xml. ↑ "India launches first Moon mission". BBC News. 22 October 2008. http://news.bbc.co.uk/2/hi/science/nature/7679818.stm. Retrieved 2008-10-22. ↑ "Hungary gets $25B billion bailout". CNN. October 29, 2008. http://edition.cnn.com/2008/BUSINESS/10/29/hungary.imf.bailout.ap/index.html. Retrieved 2008-10-29. ↑ Steenland, Doug. "Dear Northwest Customer:". Northwest Airlines. http://nwa.com/features/mergerletter/. Retrieved 2008-11-03. ↑ Nagourney, Adam (November 4, 2008). "Obama Elected President as Racial Barrier Falls". The New York Times. http://nytimes.com/2008/11/05/us/politics/05elect.html. Retrieved 2008-11-05. ↑ "Obama wins historic US election". BBC News. November 5, 2008. http://news.bbc.co.uk/2/hi/americas/us_elections_2008/7709978.stm. Retrieved 2008-11-05. ↑ "Obama inspires historic victory". CNN. November 5, 2008. http://www.cnn.com/2008/POLITICS/11/04/election.president/. Retrieved 2008-11-05. ↑ "Bhutan king to be crowned at last". BBC News. 2008-07-23. http://news.bbc.co.uk/1/hi/world/south_asia/7521429.stm. Retrieved 2010-01-01. ↑ "QE2 To Leave Cunard Fleet And Be Sold To Dubai World To Begin A New Life At The Palm". http://cunard.com/AboutCunard/NewsReleases.asp?Cat=&View=ViewArticle&Mode=News&ContentID=6656&Active=News. ↑ "RMS Britannia (1840) to RMS Queen Victoria (2007) and Beyond". http://thecunarders.co.uk/cunardlinehistory.html. ↑ "NASA's Shuttle and Rocket Missions". http://www.nasa.gov/missions/highlights/schedule.html. ↑ "FWindpipe transplant breakthrough". BBC News. 2008-11-19. http://news.bbc.co.uk/2/hi/health/7735696.stm. Retrieved 2010-01-01. ↑ "Greenland votes for more autonomy". BBC News. 2008-11-26. http://news.bbc.co.uk/2/hi/europe/7749427.stm. Retrieved 2008-11-27. ↑ "Spectacular Conjunction". NASA. http://science.nasa.gov/headlines/y2008/24nov_skyshow.htm. Retrieved 2008-12-05. ↑ "Top Thai court ousts PM Somchai". BBC News. 2008-12-02. http://news.bbc.co.uk/2/hi/asia-pacific/7759960.stm. Retrieved 2008-12-13. ↑ "GG agrees to suspend Parliament: Harper". CBC. 2008-12-04. http://www.cbc.ca/canada/story/2008/12/04/harper-jean.html. Retrieved 2008-12-04. ↑ (Russian) "Экспертиза подтвердила, что найденные останки принадлежат Николаю II". ITAR-TASS. http://www.itartass.ur.ru/news/?id=42200. Retrieved 2008-12-05. ↑ "More riots in Greece over fatal police shooting of teen". USA today. http://www.usatoday.com/news/world/2008-12-07-greece-protests_N.htm. Retrieved 2008-12-09. ↑ "Sark Election: the candidates". BBC Guernsey. 9 December 2008. http://www.bbc.co.uk/guernsey/content/articles/2008/11/18/sark_election_candidates_2008_feature.shtml. Retrieved 11 December 2008. ↑ "Switzerland links up to European police files". 2008-08-11. http://www.swissinfo.ch/eng/news_digest/Switzerland_links_up_to_European_police_files.html?siteSect=104&sid=9482144. Retrieved 2008-09-07..
↑ "Bewerewolves: Fullest Moon in 15 Years Tonight". 2008-12-12. http://blog.wired.com/wiredscience/2008/12/fullest-moon-in.html. Retrieved 2008-12-13..
↑ "Trio found guilty of Rwandan genocide". CNN. 18 December 2008. http://edition.cnn.com/2008/WORLD/africa/12/18/rwanda.tribunal/index.html. Retrieved 18 December 2008. ↑ "Gwadar port becomes fully functional". The Dawn. 2008-12-22. http://www.dawn.com/2008/12/22/top2.htm. Retrieved 2008-12-22. ↑ "Coup fear as Guinea president dies". CNN. 24 December 2008. http://edition.cnn.com/2008/WORLD/africa/12/23/guinea.president.dead/index.html. Retrieved 24 December 2008. ↑ "UN launches $613m appeal for Gaza". BBC News. 29 January 2009. http://news.bbc.co.uk/1/hi/business/davos/7857874.stm. Retrieved 20 March 2009. ↑ "Bangladesh awaits election result". BBC News. 29 December 2008. http://news.bbc.co.uk/2/hi/south_asia/7802529.stm. Retrieved 30 December 2008. ↑ "St Patrick's 'day' moved to 15th". ireland.com Online (Irish Times Trust). 2007-07-18. http://www.irishtimes.com/newspaper/breaking/2007/0718/breaking85.html. Retrieved 2007-07-21. ↑ Nevans-Pederson, Mary (2008-03-13). "No St. Pat's Day Mass allowed in Holy Week". Dubuque Telegraph Herald. Woodward Communications, Inc.. http://www.thonline.com/article.cfm?id=194136. Retrieved 2008-03-13. ↑ "GTA4". http://www.1up.com/do/feature?cId=3167196. Retrieved 2008-11-05. ↑ Fantastic Voyages. http://books.google.com/books?id=Efo-dMvE5csC&pg=PA178&dq=silent+running+2008. Retrieved 2009-02-02. ↑ "Amazon.com: Dawson's Creek – The Series Finale (Extended Cut) Product Page". Amazon.com. http://www.amazon.com/Dawsons-Creek-Finale-Extended-Cut/dp/B0000AUHQ9. This page was last changed on 16 May 2014, at 10:52.